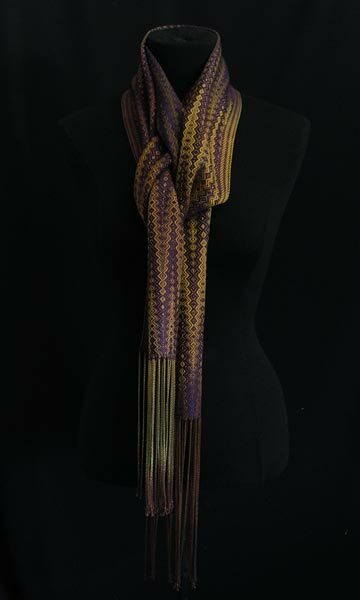 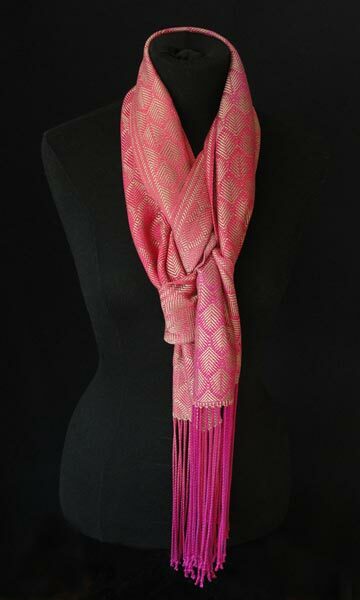 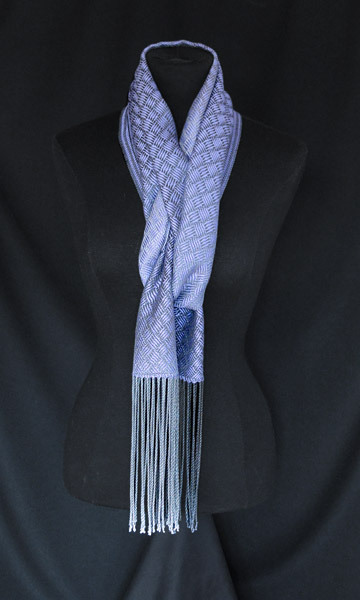 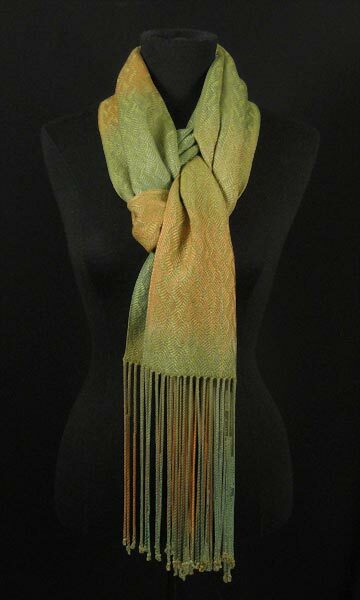 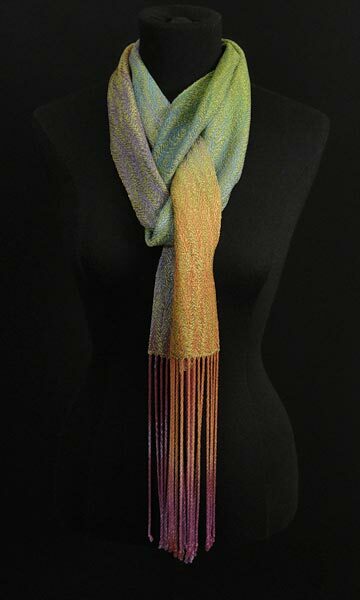 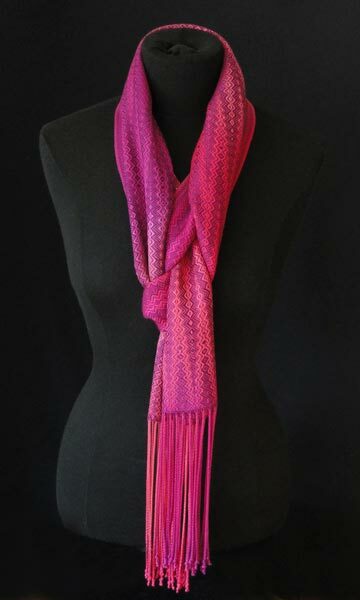 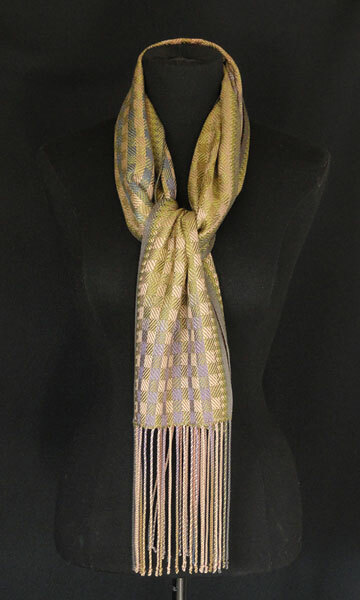 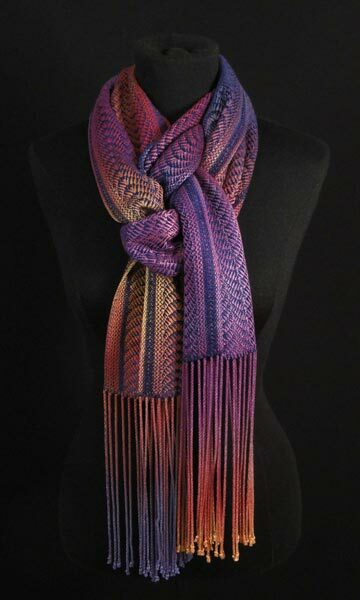 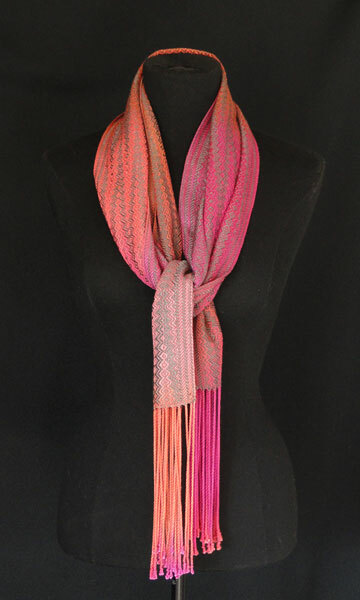 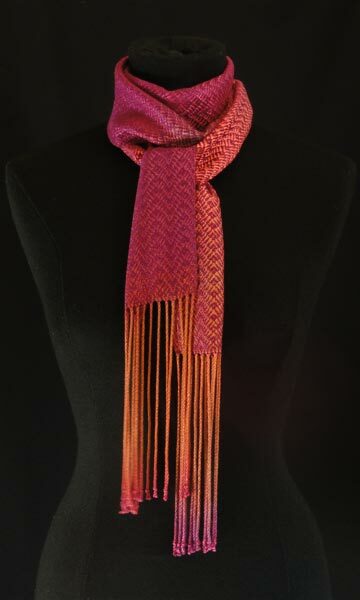 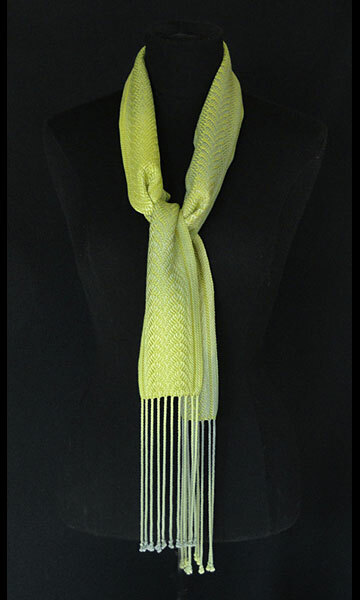 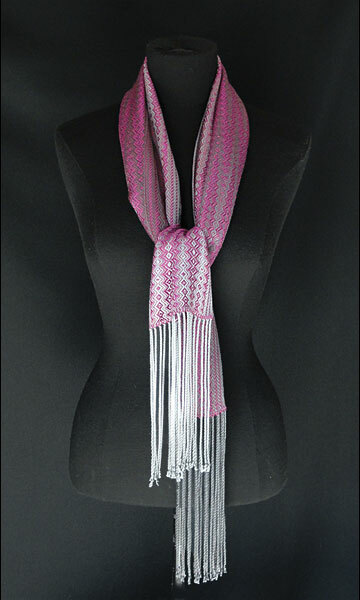 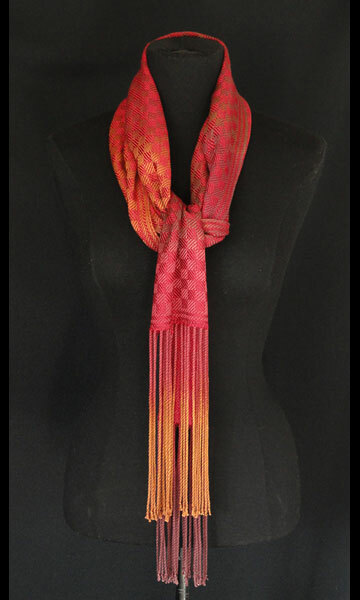 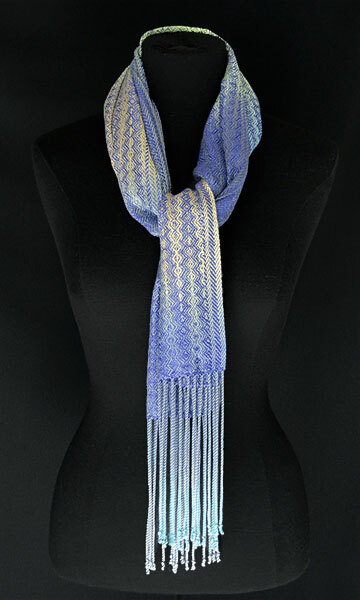 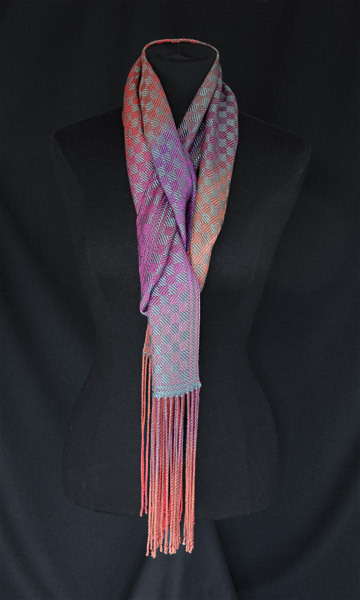 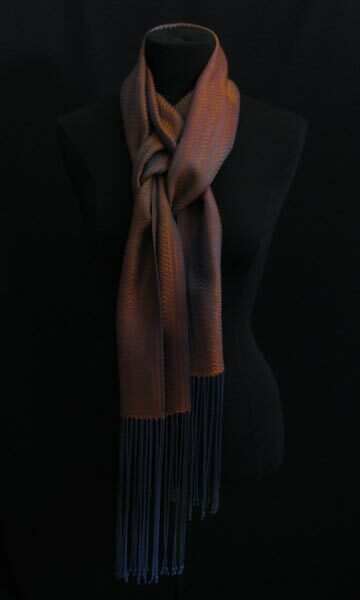 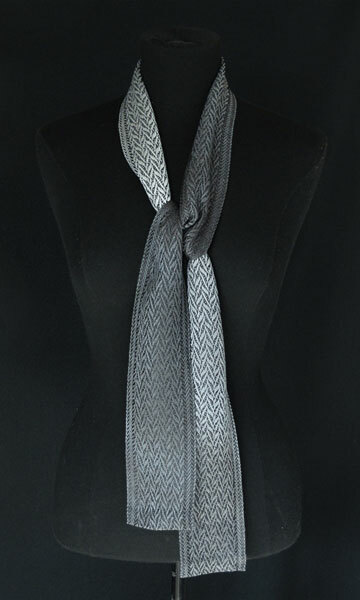 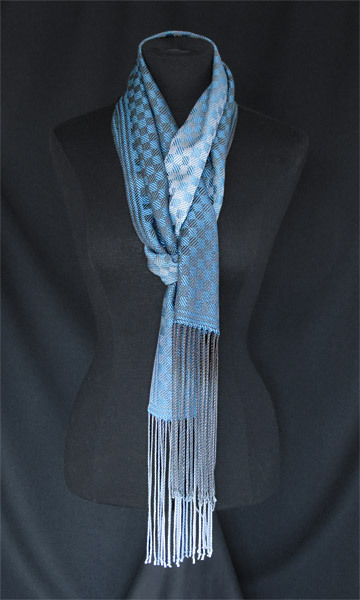 Loominarias scarves come in 3 types: wide (8") fringe, narrow (4") fringe and narrow (4") hemmed. 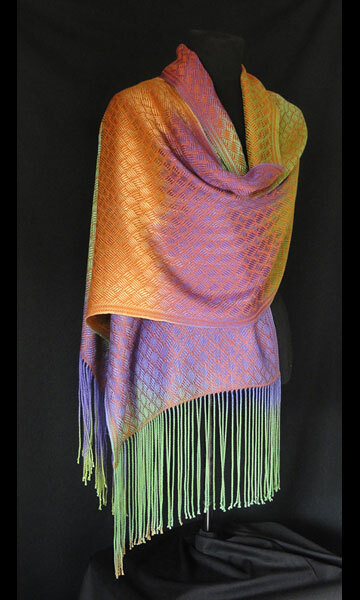 The shawls are 20" wide (widths are approximate). 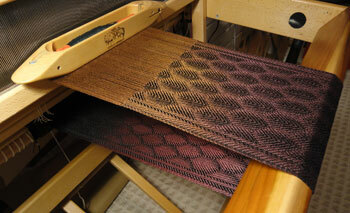 Colorways vary, but current favorites are Desert Vista (reds and rust), Soft Forest (greens and blues), Chardonnay Flagstone (dusty blues, purples, greens and browns), Brandied Pears (bright greens, purples and golds), Midnight (deep blues and purples), Mixed Nuts (golden browns) and Dark Chocolate (dark browns with a touch of dark raspberry). 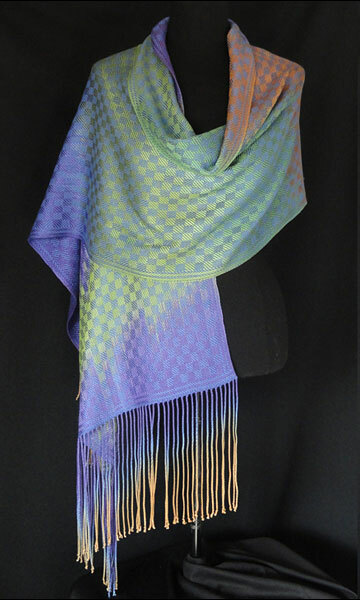 Each warp colorway is woven in a variety of original and traditional woven patterns using a contrasting weft color from taupes to reds and purples to blues, greens, grays and black. 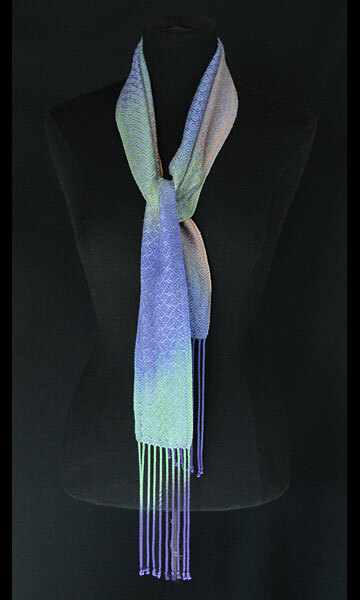 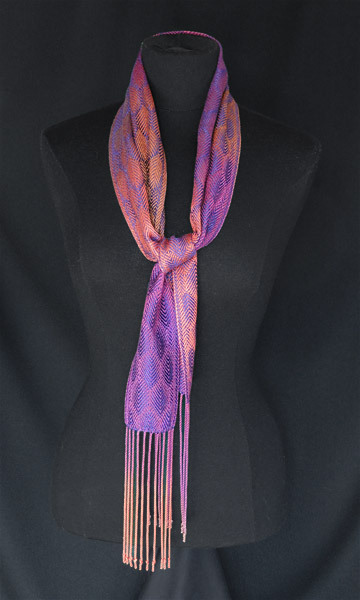 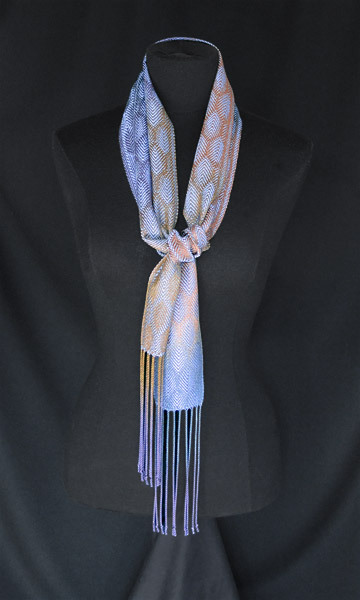 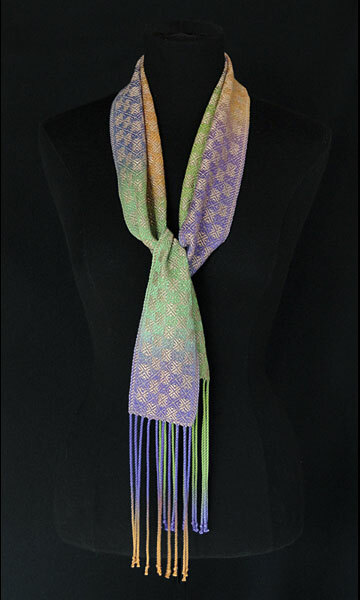 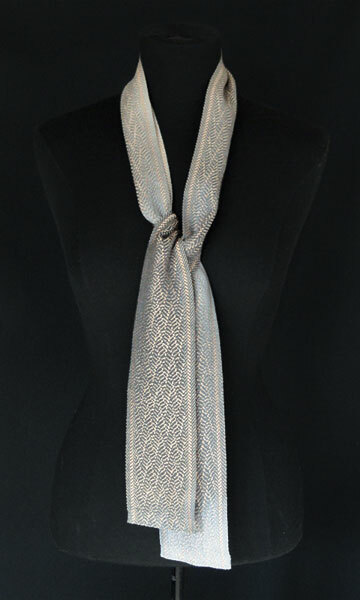 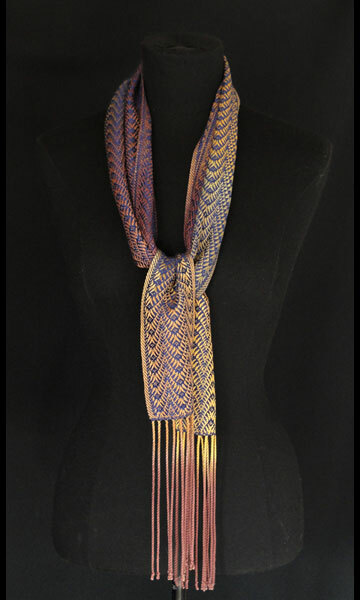 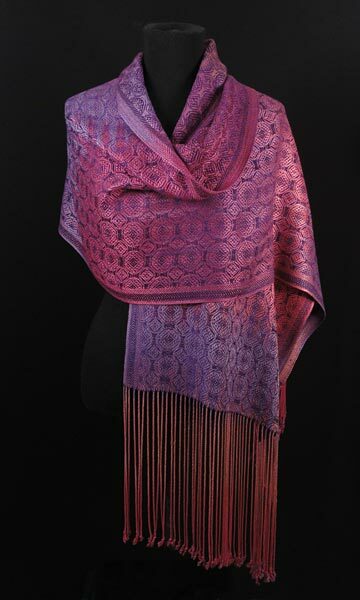 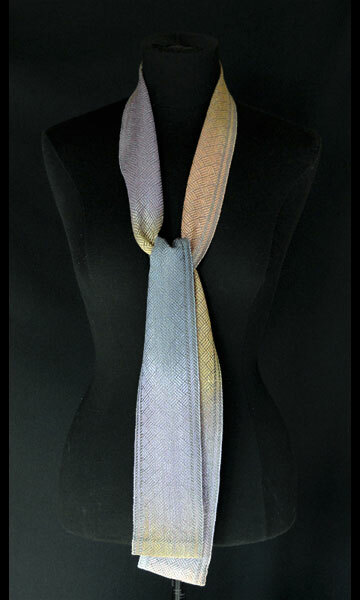 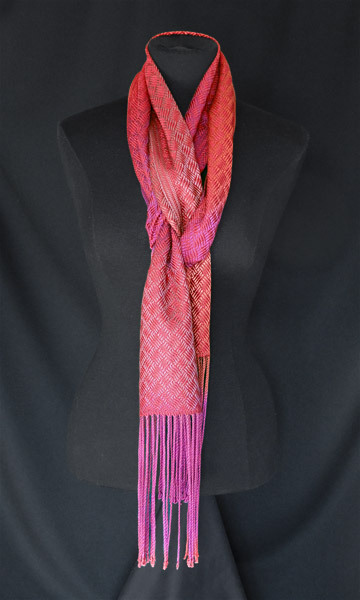 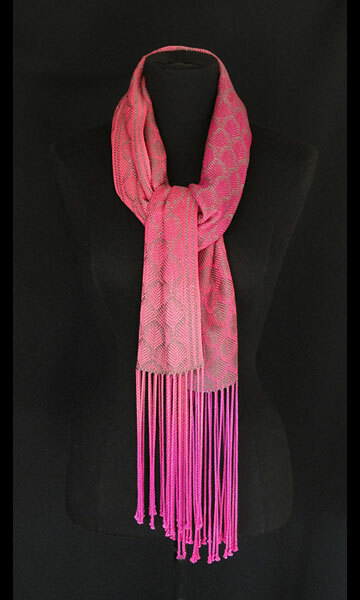 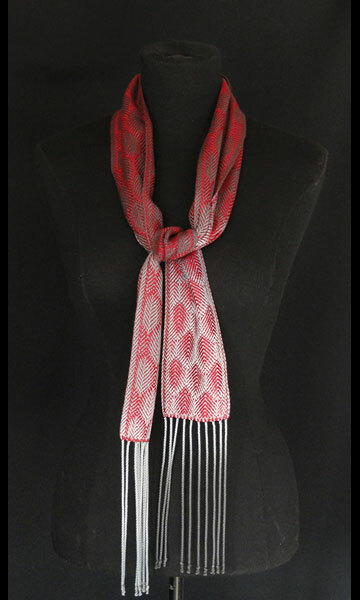 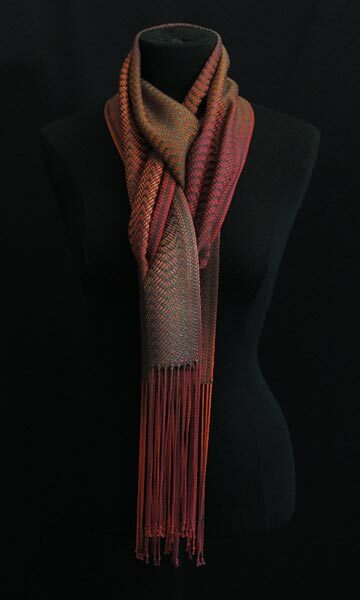 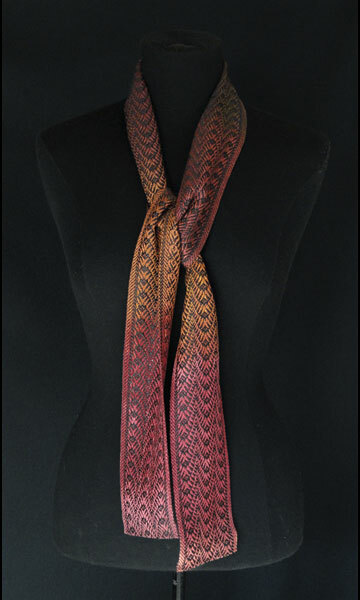 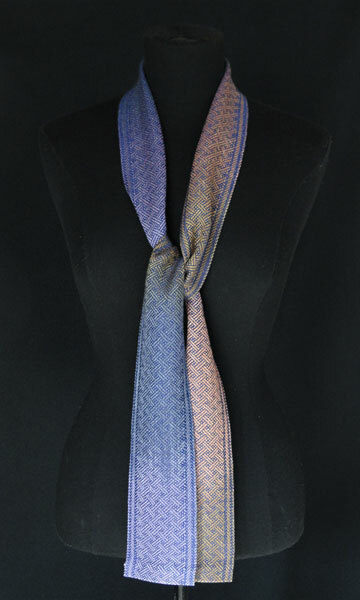 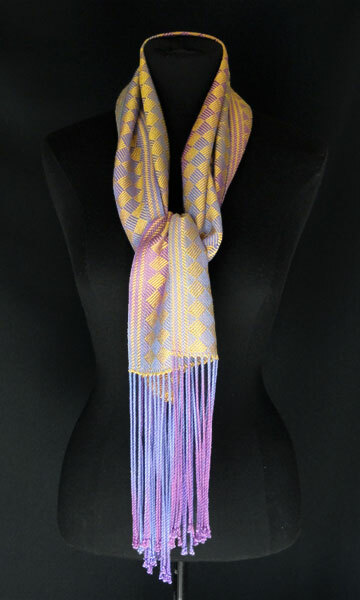 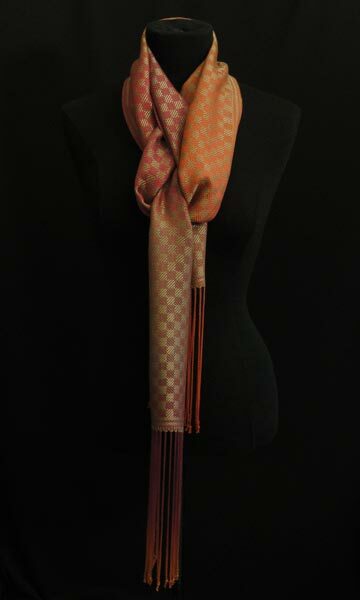 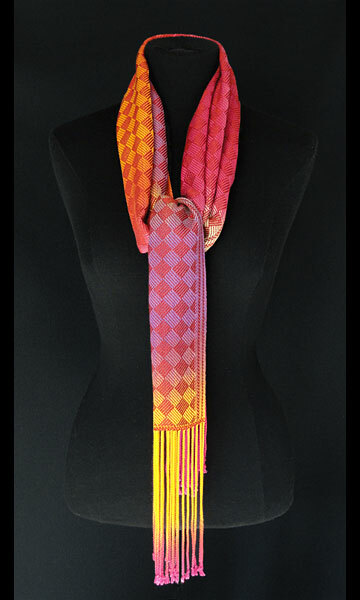 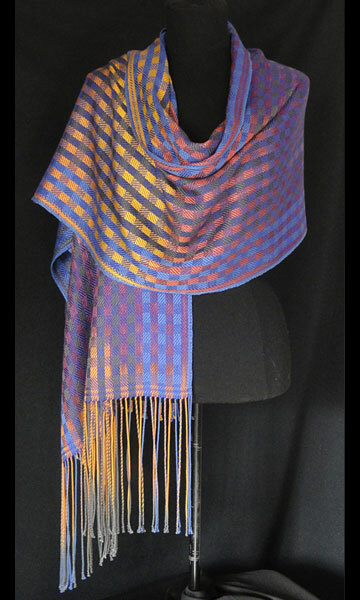 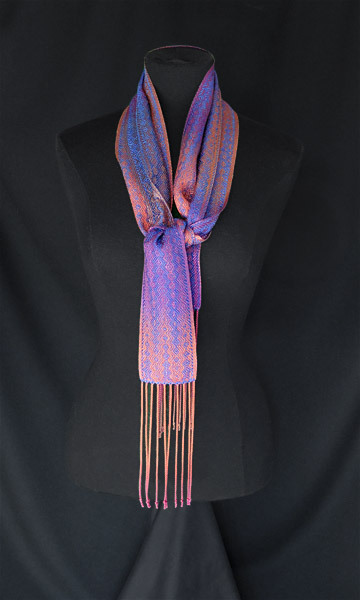 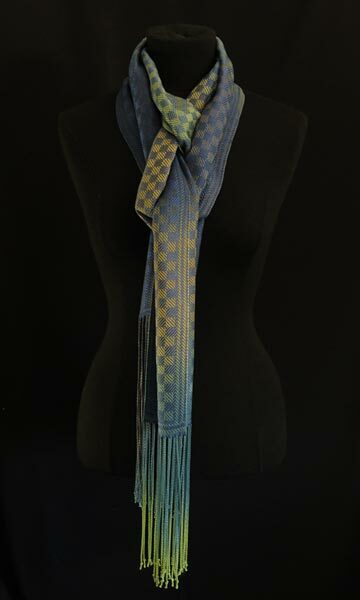 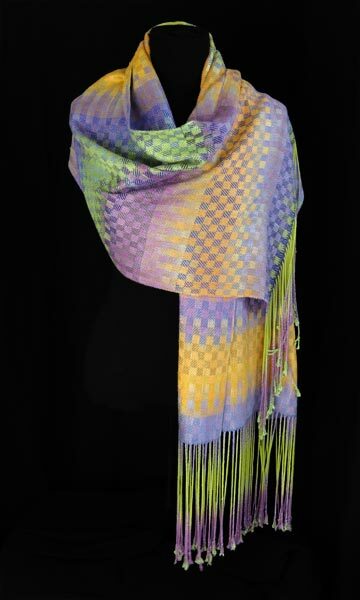 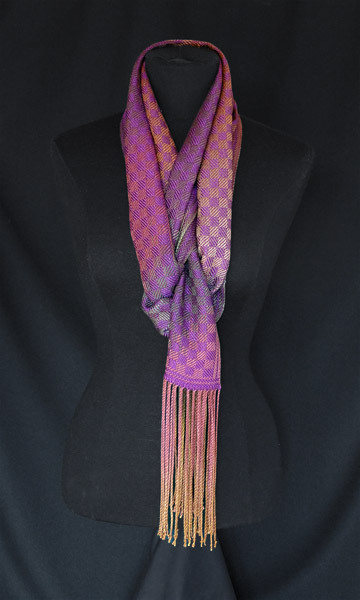 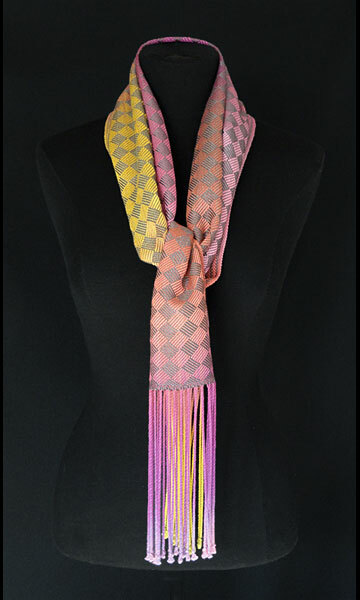 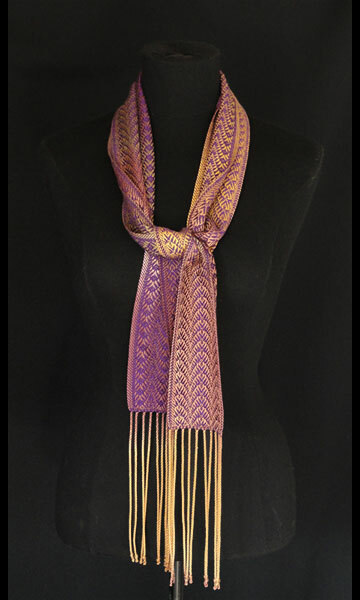 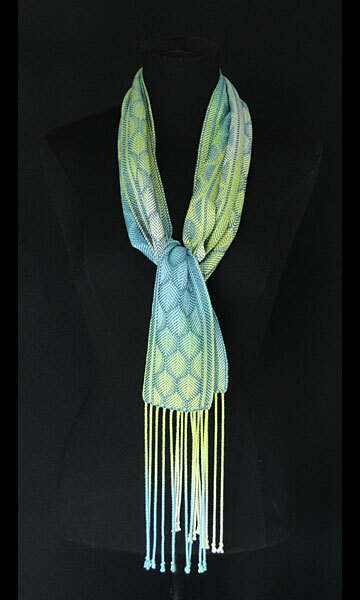 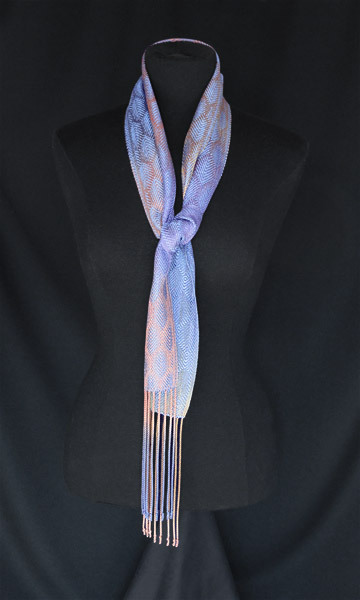 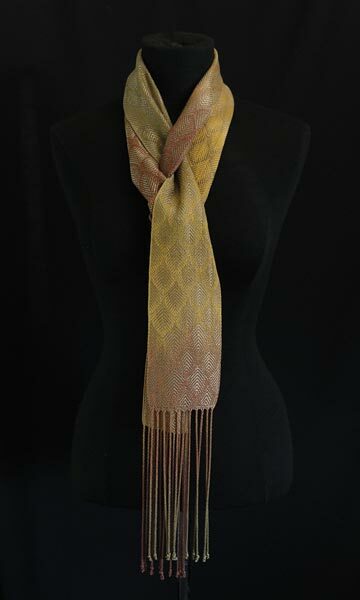 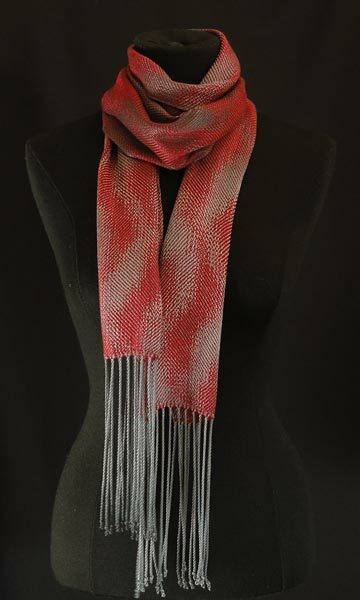 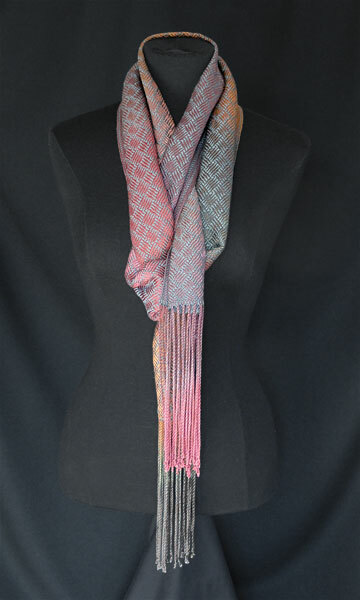 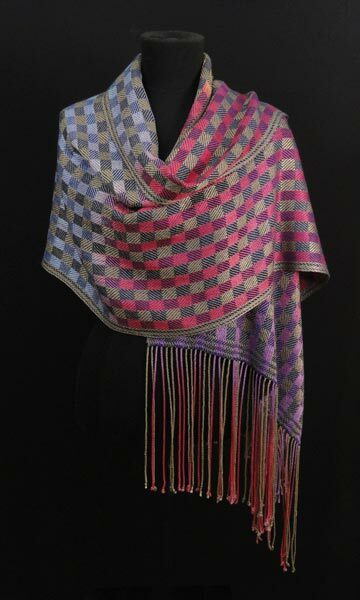 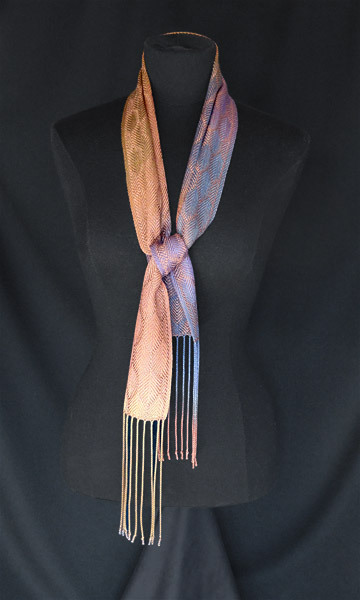 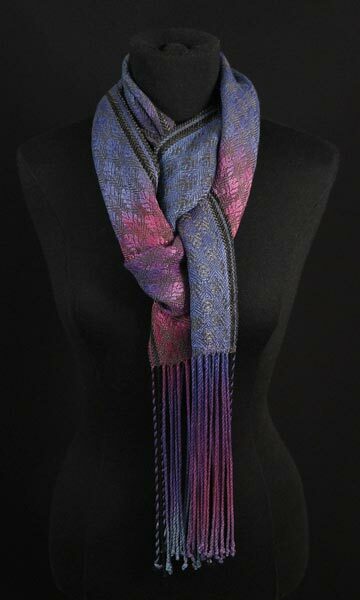 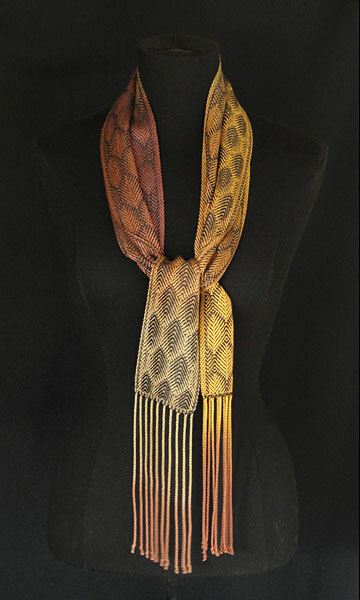 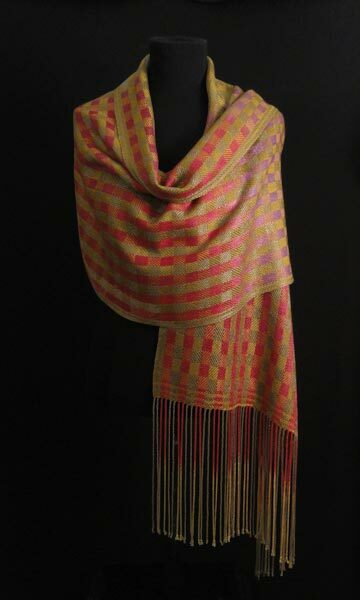 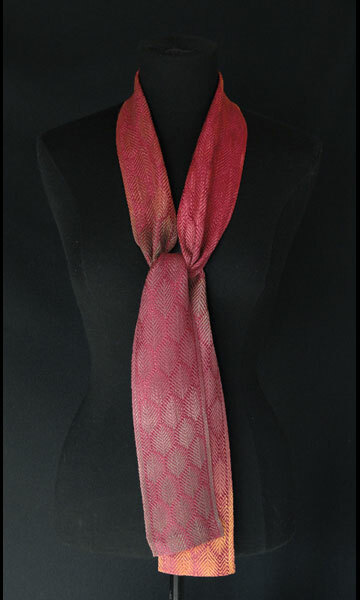 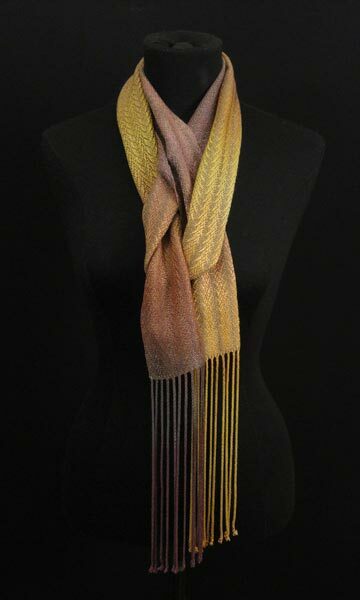 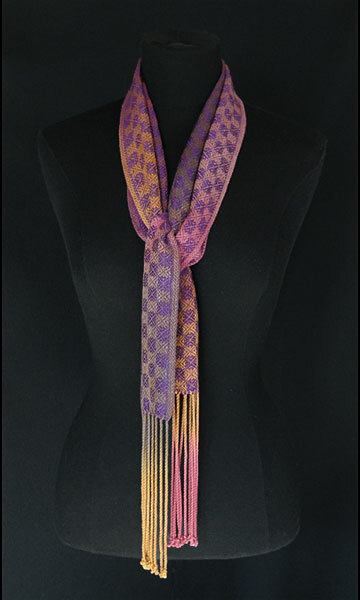 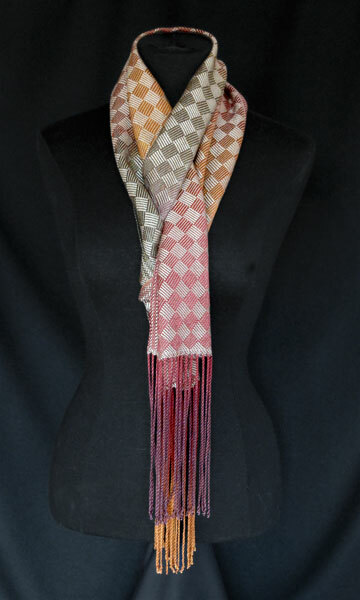 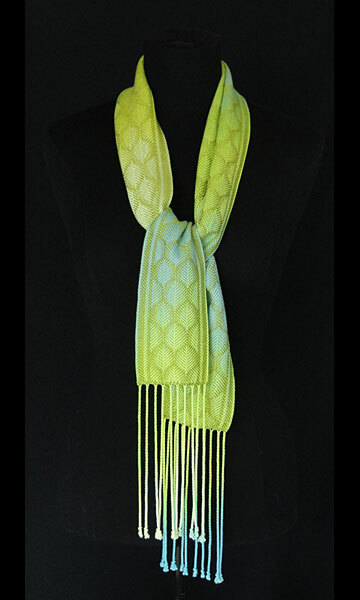 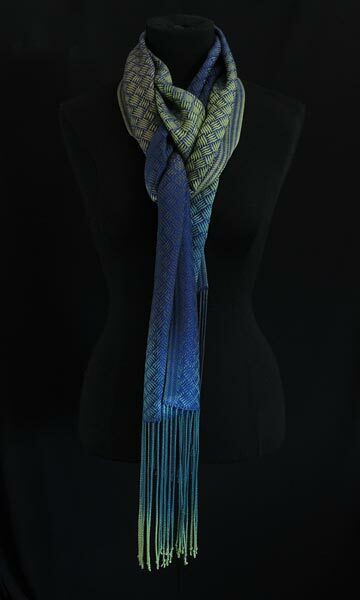 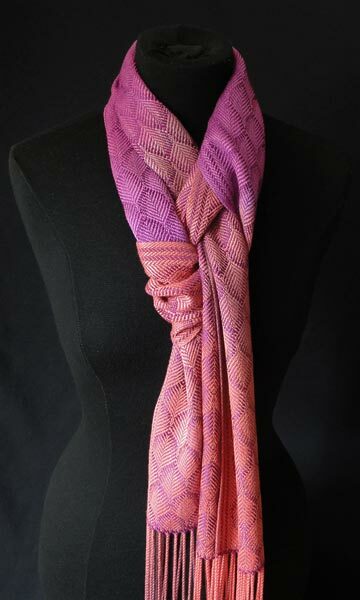 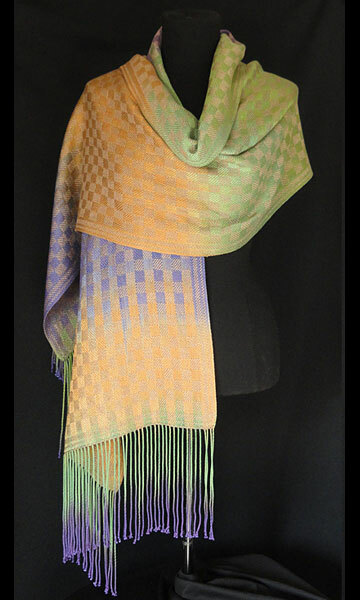 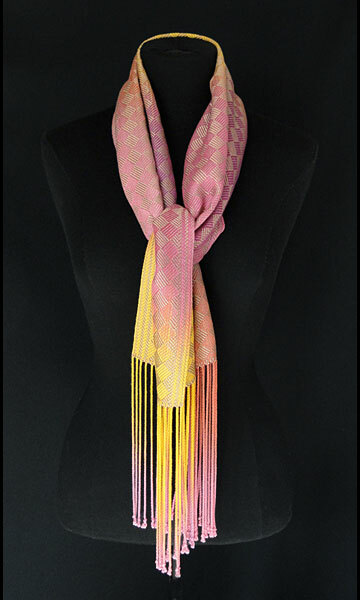 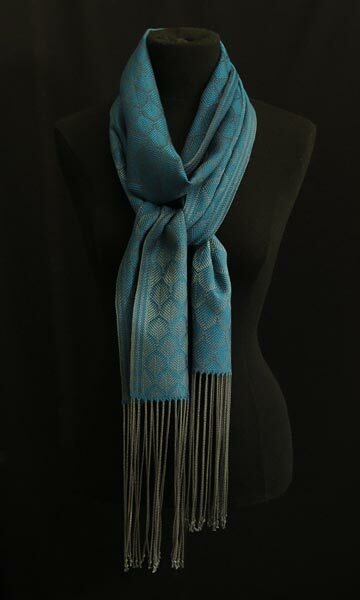 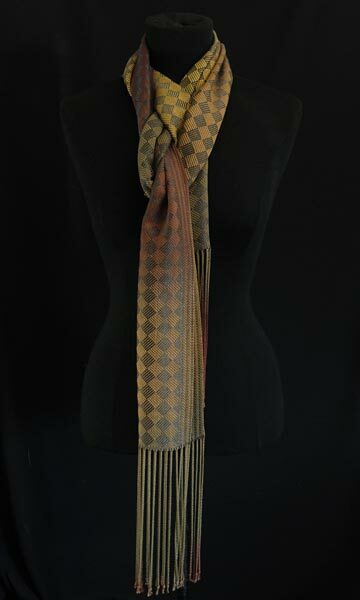 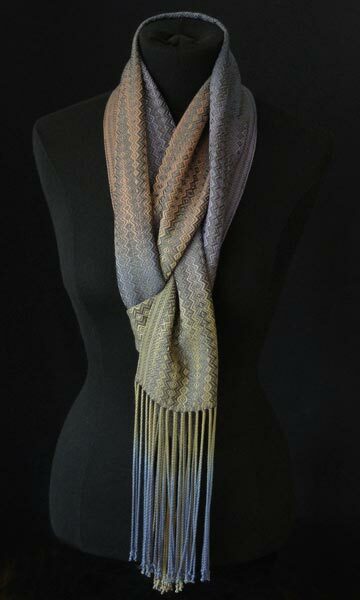 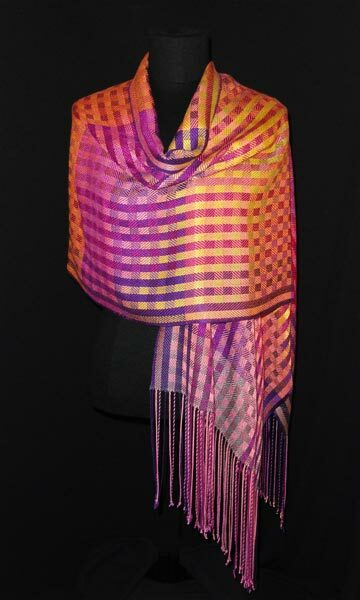 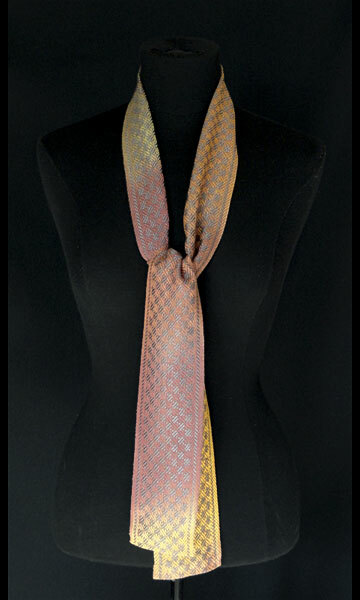 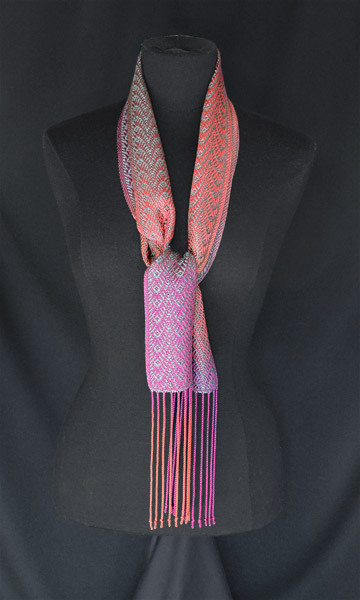 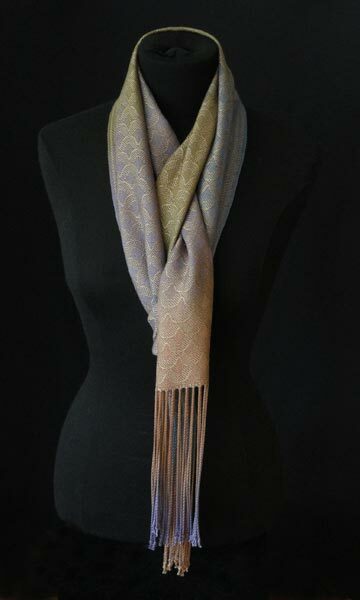 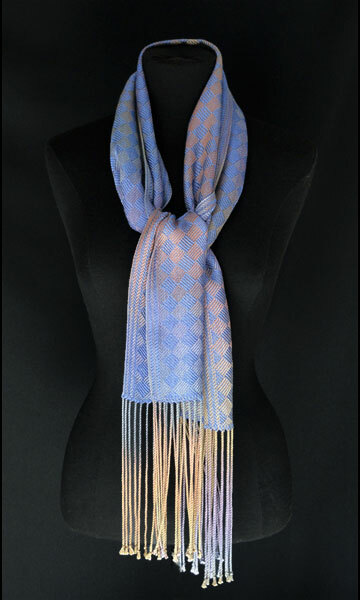 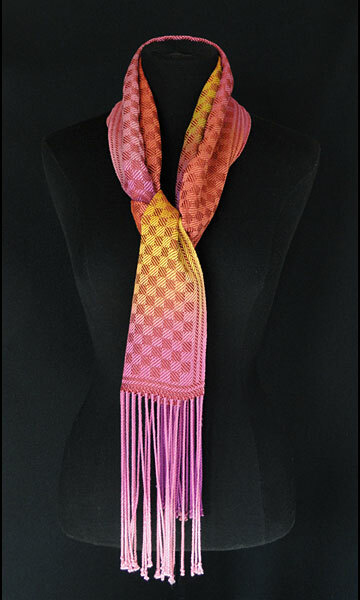 These unique scarves and shawls are available at select art fairs in the midwest or directly from the artists. 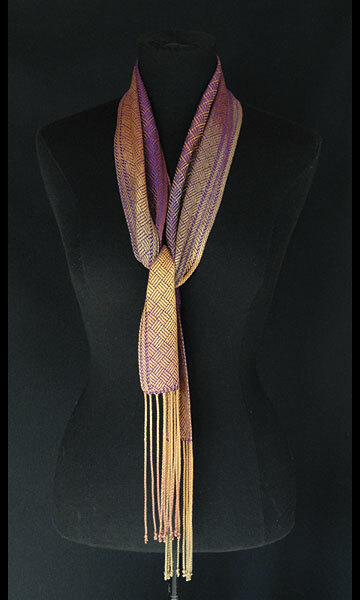 All major credit cards are accepted. 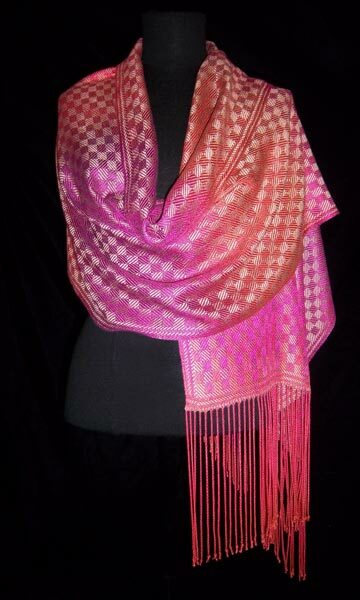 Wholesale inquiries are welcome.